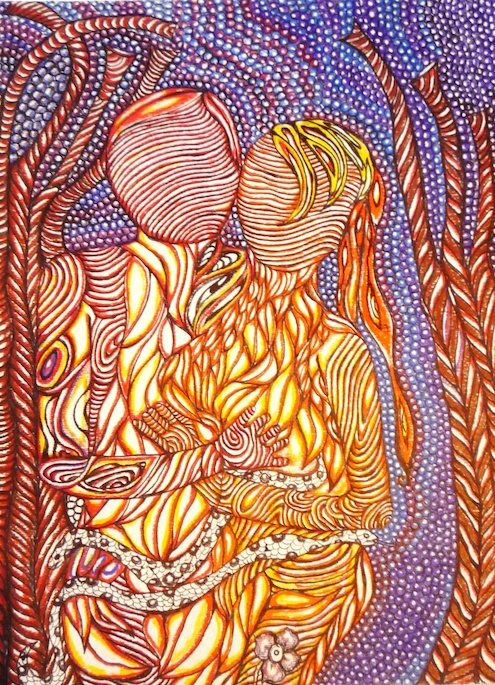 From the file name, I think this is God and Goddess, a surrealistic psychedelic drawing by Darkmoondollie. And yes, that is their spelling of psychedelic. I love how this piece implies wood and motion in the union of Male and Female. Too many times we forget that magick is about movement and the union of elements. The artist has a fine eye and a really nice touch.